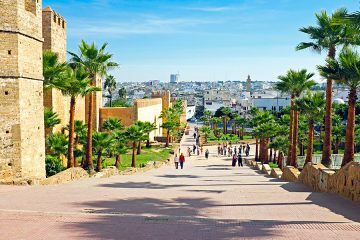 If you want to spend the best vacation in Morocco and to escape traditional tourist trail, renting a villa will help you to achieve this goal. 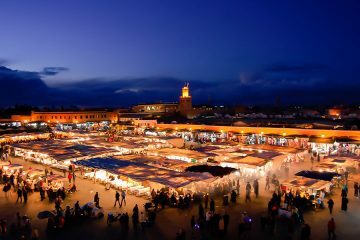 Morocco is an exotic country with beautiful traditions and welcoming people. 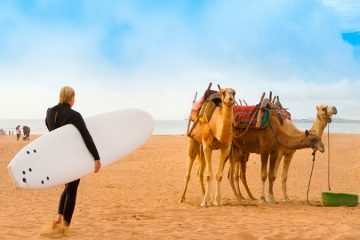 Here you can enjoy the glowing sun, try some traditional cuisine, visit markets, try some various water sports, ride a camel, explore the desert, or just have fun with you friends surrounded by the charming beauty of this place. In the most cases, your entertainments will depend on the area you choose to stay. 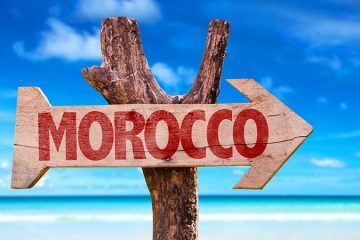 Morocco is worth to see from all its sides but to make the exploration more comfortable, we provide you with the list of 12 best villas to rent in Morocco. All the prices are POA. This 37 bedroom luxury villa situated in the hub of the Palmeraie, is the best place to have a party. This luxury 12-acre domain combines 7 elegant villas with 7 private swimming pools for each villa. Here you can get the best service provided by the hotel nearby and to enjoy a communal clay tennis court. The harmony, beauty, and intimacy of this place surrounded by a flourishing nature, makes it a perfect place for weddings or anniversaries. You can also get closer to nature in the botanical garden with varieties of plants for your pleasure there. Try some traditional food cooked with inspiration and love by the best chefs in the country. In other words, if you need a perfect place to stay in Marrakesh and you want up to 85 guests to join you in your adventure, Jnane Fiestan Villa is definitely for you. Richly decorated Art Deco styled Villa perfectly placed in Marrakesh, is a dream destination for all those who appreciate comfort, style, and good taste. This two-floored masterpiece of comfort and luxury lifestyle has much to offer. You can enjoy both indoor and outdoor living provided by the ground floor. Here you can find three outdoor living rooms equipped with fireplaces where you can spend evenings with comfort and pleasure, three bedrooms for a perfect sleep and a kitchen. The first floor contains two en-suite bathrooms and dressing rooms opened to wide terraces with a 25 x 5-meter luxury swimming pool. Here you can also find an additional building with two bedrooms, bathrooms, living room, and a kitchen. And, of course, all these go with a bonus 10 x 3-meter swimming pool. This gorgeous 9-acre domain can offer its guests 10 ensuite bedrooms and 10 bathrooms. The villa has numerous outdoor spaces, dining areas, guest rooms, two large and two small meeting rooms. Here you can enjoy a large swimming pool or play tennis in a comfortable tennis court. Though the building contains a lot of traditional Moroccan elements, it is a contemporary villa with a minimalistic design. Nearly all the food you will try here is produced in the organic gardens, combining the best of Moroccan and European cuisine. So if you want to spend your vacation in a luxury place with a fine service, absolute intimacy, and the best food, Kaïs Villa is an ideal place for you to stay in Marrakesh. Laraqui Palace is ideally located close to the Blue Door of Fez, is a former private residence of Morocco’s powerful Tazi family protected by Unesco. The design of the villa combines Art Deco and traditional Moroccan style. Wooden floorings, bioethanol fireplaces, terraces, and balconies with an amazing view of the medina and its surroundings with gorgeous mountains, making this place a real paradise right in the hub of Fez city. Here you can find everything you need to feel pampered: friendly staff, best food, air conditioning, heating system, SPA, TV, WIFI, and lift leading to a beautiful terrace. The best thing about this villa is a children play area where your kids can have some fun. If you come to Morocco and want to explore its natural beauty, there is a perfect Adenora Villa located directly on Lake Ouarzazate. The building includes four Kasbahs that turn into a lush yard garden. Adenora Villa, perfectly designed in a traditional Kasbah style, allows you to enjoy a magical and exotic beauty of this place all day long. The villa was created especially for Royals, that is why it meets the highest of standards. You can enjoy a spectacular view of Lake Ouarzazate and the desert beyond nearly from every room. The privacy in a combination with the absolute natural beauty of this place makes it perfect. Ouarzazate itself is famous for its wonderful climate all year round. There is a wonderful Mahal Villa on the road from Marrakesh to the valley of Ourika. Pure architectural work of art placed right in the hub of a landscape garden, opens a beautiful view of the Atlas Mountains. This place will satisfy all your requirements with a friendly staff, various entertainments, and everything you need to have the best vacation in your life. Staying in this Villa originally created by a French Colonel 70 years ago and fully renovated in 2003, will provide you with everything you need for a perfect 7-day vacation included in the price. It is placed in a road to the Ourika Valley, 13 kilometers away from Marrakesh, right in the heart of a magnificent garden with palms, olives, citrus, roses and a large fountain inside. It is hard to imagine a better place to relax. 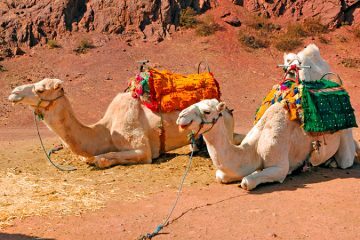 It will not take much time to get to the medina of Marrakesh, visit some Berber villages in the Atlas Mountains or enjoy a view of green valleys. You can also easily get to the beaches and fish restaurants of Essaouira. The main house of the villa provides accommodation up to 12 people. 20 minutes away from Marrakesh, facing the Atlas Mountains, you will see a Bazina Villa, a perfect place of serenity created by one of the top leading Moroccan architects. It offers you a 1700 m² of living areas designed in a perfect contemporary style combined with some Arab-Andalusian details. The 17000 m² domain provides much space to fell an absolute freedom of natural beauty of this place. Furthermore, here you have all chances to fell pampered with the services provided by the staff. You are guaranteed the best food, the largest swimming pool in the city, a sky bar, an excellent hammam with a comfortable massage room, a wonderful pool house, as well as fully equipped gym. It is the best place to celebrate some special events as the villa can welcome a large number of people. Perfectly placed in beautiful Essaouira, this charming 3 bedrooms 4 bathrooms villa includes a lot of space for entertainment: a roof terrace, fireplaces and rich library where you can get a book to read on a fresh air while watching incredibly beautiful sunsets. Here you can also find a terrace with BBQ and even a traditional Moroccan sitting room where you can easily feel a charming atmosphere of this place. Placed in the heart of Palmeraie, surrounded by a 1.34 hectares private garden, Noam Villa provides 13 bedrooms and 13 bathrooms to welcome its guests. It consists of two independent buildings, the larger with 8 bedrooms and the smaller with 4 bedrooms, which can actually be rented separately. The villa is designed in a traditional Moroccan style including a courtyard. You can find a swimming pool in both two villas, each equipped with living room with a bathroom and a terrace with a fireplace, dining room, and a kitchen. You can also find a Jacuzzi placed in a wonderful garden, as well as find a hammam, a treatment room, a tennis court and a pétanque stip. Placed in 2.3 hectares of a real paradise with olive trees, various fruit trees, and incredibly beautiful flowers, there is an elegant 6-rooms villa with a 350 m² swimming pool, fireplace, terrace with a view of the Palmeraie, kitchen, and garage. Actually, the building is a replica of the world famous the Palais Rhoul Marrakech. The decor of the villa includes both in authentic and modern styles that create an atmosphere of charm and magic. This incredible villa located in the ideal position to give you the fascinating panoramic view of the sea and pastoral farmland. Here you can find a natural farmland, to enjoy an extensive kitchen garden and a luxurious swimming pool, a TV room, 4 double bedrooms, a sitting room, and a dining room. From the veranda, you can enjoy the view over the estuary to the sea, and staircase from the inner courtyard leads to a large roof terrace with a 360-degree view of beautiful surroundings. The villa is equipped with the latest technologies allowing you to forget about all the problems and to enjoy your stay.